Press – Page 2 – Eileen Carey music: country pop rock music & female artist songwriter with music CD's available online. The award-winning California-based singer/songwriter’s fourth and latest album LET IT GO features songs which follow through on the theme on letting go of those ties that bind us to the past and perhaps no song is more evident than the title track, “Let It Go,” a thumping up-tempo country pop tune about forgetting the small things or events from our past that lead to insecurities and indecisions of life. FixNation, a local nonprofit organization, will host a charity music event featuring world-renowned guitar-player Carl Verheyen and countrymusic singer/songwriter, Eileen Carey. This event, titled Whiskers in the Moonlight, will attract more than 250 music-lovers and supporters from the Los Angeles area. On July 25, 2015, at 7pm, the highly regarded non-profit, whose mission it is to reduce the cat population through spay/neuter and Trap-Neuter-Return, is partnering with legendary guitarist Carl Verheyen of Supertramp, rising country star Eileen Carey, local sensation The Podunk Poets and others to be announced. Actress Morgan Fairchild will host the event, with additional celebrities, organizations and donors coming on board for a night of music and community. “Whiskers in the Moonlight,” will be held at The Autry in the center of Griffith Park. The event will include a variety of vegetarian foods, cash bar, event merchandise, VIP gift bags, open gallery at the museum, photo opportunities, celebrity appearances and camaraderie among members of the animal welfare community including rescuers and volunteer “trappers”. For more information on Whiskers in the Moonlight and FixNation, visit www.fixnation.org. FixNation is a non-profit organization based in Los Angeles that supports Trap-Neuter- Return programs for homeless cats. The organization provides a free full-time spay/neuter clinic for homeless cats as well as affordable spay/neuter services for tame companion cats. FixNation’s programs have successfully sterilized more than 115,000 cats to date. For more information, please visit www.fixnation.org. In his 40-plus years of playing the guitar, Carl has created a wildly successful, multifaceted career. He is a critically acclaimed musician, vocalist, songwriter, arranger, producer and educator with eleven CDs and two live DVDs released worldwide. Carl is commonly regarded as a guitar virtuoso capable of playing any style of music with remarkable mastery and conviction. For more information, please visit www.carlverheyen.com. Eileen is one of California’s most popular Country singer-songwriters, can boast a multitude of awards and nominations over her four-album career. She has packed every venue she has played from the three Annual Summer Fests on Venice Beach for the Homeless, to the House of Blues Hollywood, and the honkytonks in Nashville. Recently nominated for Female Country Artist of the Year by New Music Weekly, Eileen’s #1 hit single “Bottle Your Crazy Up” and her almost viral music video of the same name, has now catapulted Eileen into the A-list of country music attractions. For more information, please visit www.eileencarey.com. The Podunk Poets are a rowdy, duet-fronted band from Los Angeles with a classic country, honkytonk feel. They create original music inspired by their love of the classic sound of country duet legends such as Loretta Lynn and Conway Twitty. Recently, they were on the bill with Merle Haggard at the Ink-N-Iron Festival and have played the Folk Revival Festival, Los Angeles and San Diego Pride Festivals, The Hotel Cafe, Grand Ole’ Echo, House of Blues, Pappy & Harriet’s, and other great venues around California and the country. For more information, please visit www.thepodunkpoets.com. www.thepodunkpoets.com. Put That Tequila Down and “Bottle Your Crazy Up!” Hold the ice, Eileen Carey has good advice in her latest single. It’s mixed for good ole’ country ‘Dance Halls Days’ and already has the music charts ablaze. (PASADENA, CALIFORNIA, USA) September 3rd, 2014 – Whoa girl, put that tequila down! ‘Let It Go’ or you might do something you’ll regret! Instead, “Bottle Your Crazy Up,” as the lyrics suggest, in the latest offering from country artist Eileen Carey’s album, Let It Go. The song “Bottle Your Crazy Up” goes down smooth – as it is mixed into three flavors. Two versions are blended for “Dance Hall Days.” A third, bottled for radio currently has the country charts ablaze! The original version of “Bottle Your Crazy Up,” is currently ascending the country radio charts and has already moved into the Top 40 on the New Music Weekly Country Main Charts. The other two versions include a dance and club mix, which are slated for use in Eileen’s whirlwind radio and dance club tour which has dates booked through Kentucky and Tennessee from September 22nd, 2014 through September 26th, 2014.“Bottle Your Crazy Up” was penned by Bart Almond and Amy Dalley and produced by the talented Nashville/Los Angeles based Travis Allen Childress of Nashville Tracks. 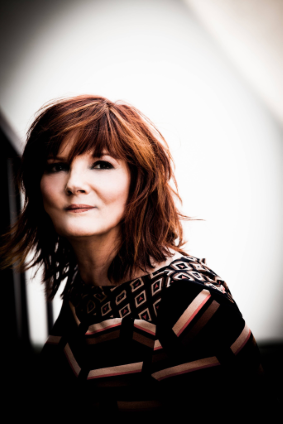 There’s a reason Eileen Carey is one of California’s most popular country songwriters and performers; she hooks her songs with message and melody. “Bottle Your Crazy Up is fun-loving dance song with the boot-scooters in mind. It’s lyrically-loaded, line-dancing lover’s lick. So, hold the salt, lime and ice and before you take that drink… think! Put it down, Let it Go and “Bottle Your Crazy Up.” Save all that energy for the oak floors and Eileen’s dance hall tours!